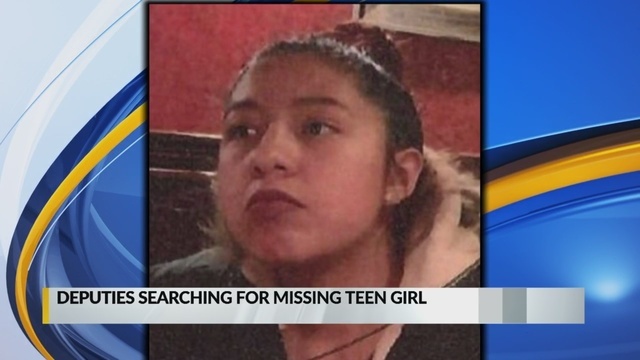 DEMING, N.M. (KRQE) - Officials are searching for a missing teenager from Deming. April Elizondo, 16, was last seen in a Deming neighborhood Friday, February 1. Deputies believe she could be traveling to El Paso, Texas or Juarez, Mexico. Elizondo is 5-foot-1, weighs about 100 pounds, has brown eyes and brown hair that's dyed black and red. She was also last seen wearing black Adidas sweatpants with a white stripe, a white shirt and black shoes. Anyone with information on Elizondo's whereabouts is asked to contact the Luna County Sheriff's Office at (575) 546-2655.